Rotterrodami, apud C.R. Hake, 1788. 8vo. pp. 298, (1), with a charming engraved title showing a bird (Alauda) by J.L. Anselin. 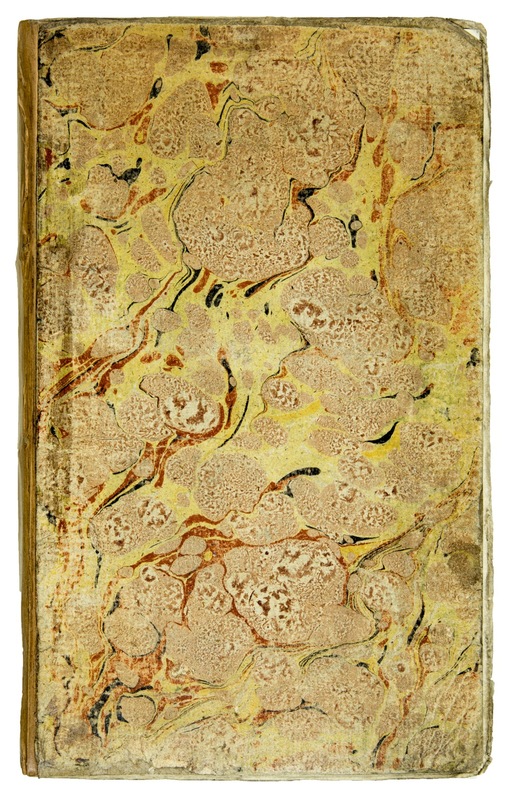 Contemporary marbled boards, spine renewed. B.M.(Nat. Hist. )II, 813. Gerhard N. Heerkens was a physician who settled at Groningen after havingstudied with scholars as Voltaire and Fontenelle in Paris. 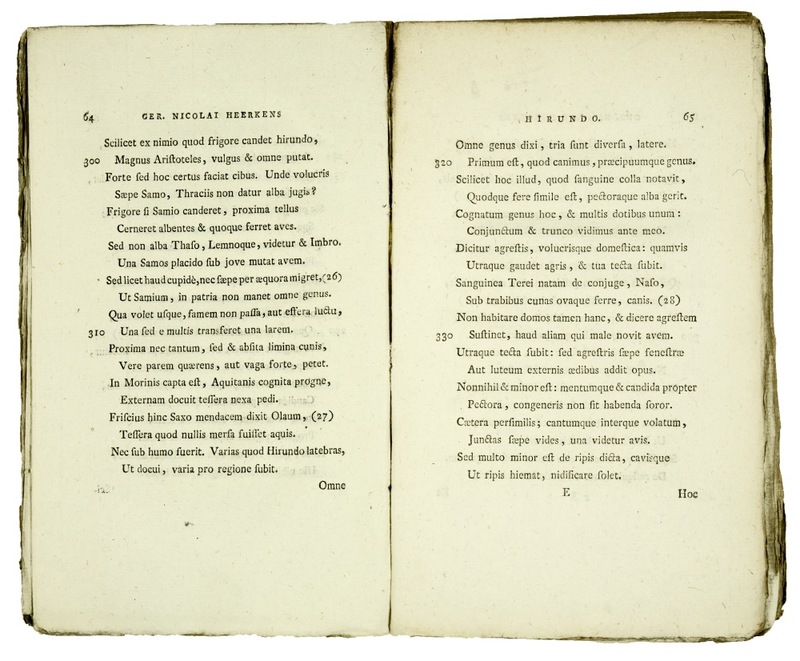 He devoted all his spare time to Latin poetry, of which he published several collections. His present work is in elegiacs, with notes.